恐れ入りますが、このホテルに関する詳細はまだ日本語に訳されていません。 There’s plenty to say about the Eiger Mürren Swiss Quality Hotel itself, but perhaps the most remarkable thing about it is what’s outside the doors: its one-of-a-kind hometown. The Eiger is set in the tiny Bernese mountain village of Mürren, population 450. There isn’t even a road in. To get there, you take a funicular from one of the valleys below, or get off the train at the station across the street. Needless to say, you won’t be smelling a lot of tailpipe exhaust — just fresh Alpine air. As for traffic, the only sort you need to look out for will be gliding by on skis or a board. The ski trails pass right by the hotel. This isn’t a place you come looking for avant-garde design theatrics or a Dom-popping après-ski scene — more like floral-print curtains and a cozy, almost homey little bar. And that’s fine. The idea is more to relax and rest up between days on the trails. 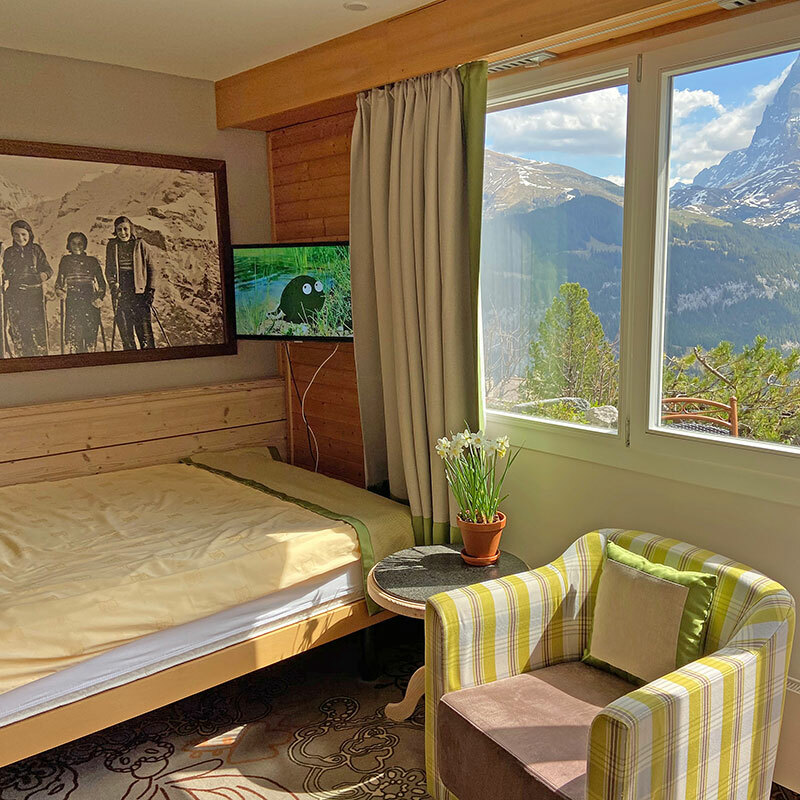 Book well and, even when you’re indoors, the mountains will feel every bit as present, with their snow-capped peaks on view from bed. 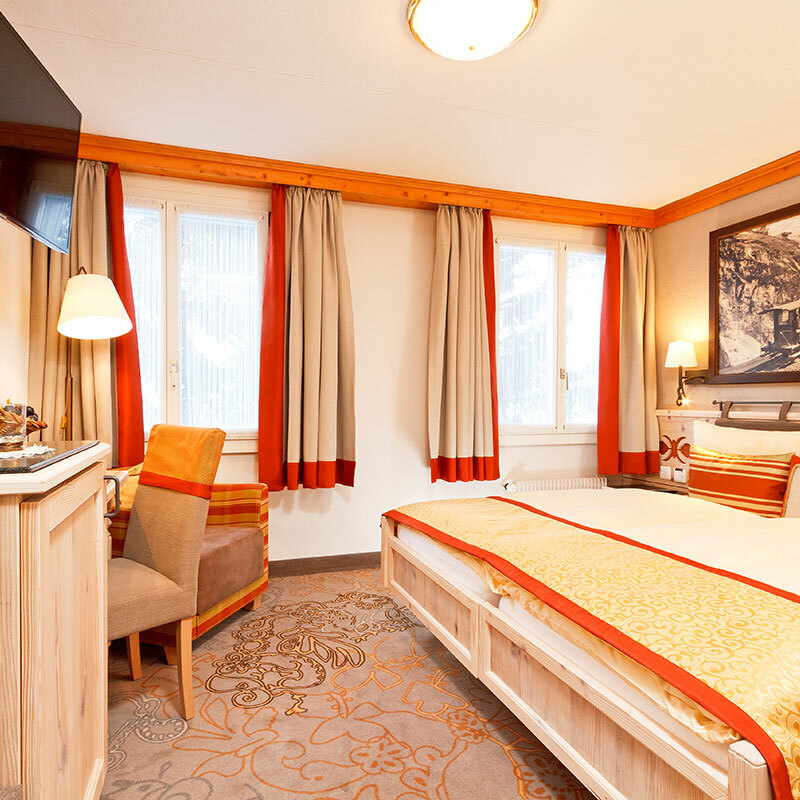 Please note: Eiger Mürren Swiss Quality Hotel closes each year in April and May. 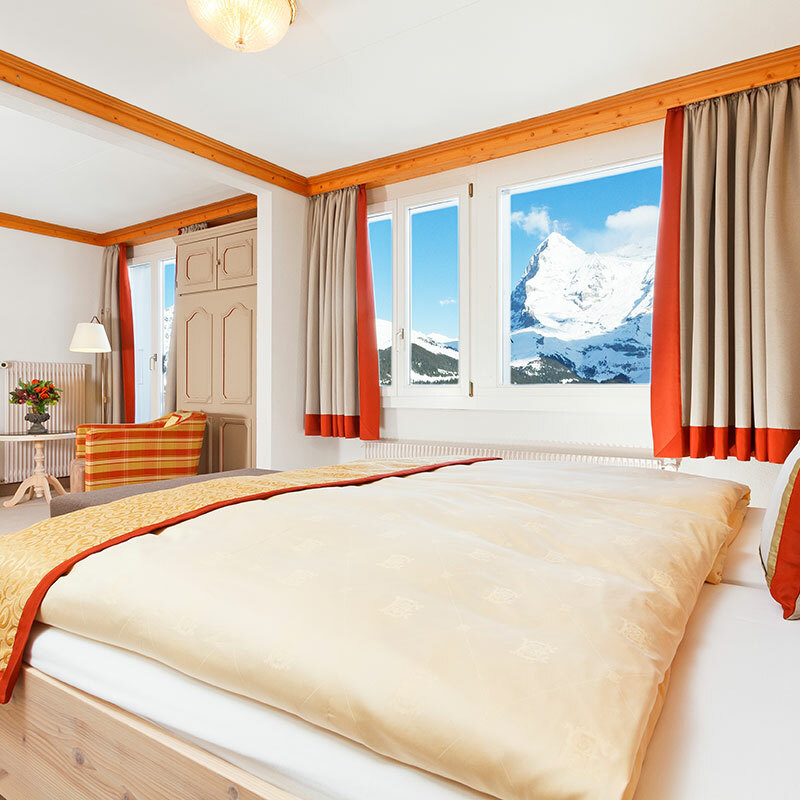 The hotel is located directly across from the Mürren train station, and a five-minute walk from the center of the village. Alternatively, take the funicular from the town of Lauterbrunnen. The village is not accessible by car. Pets are allowed (charges apply). Baby cots and extra beds are available on request. Please contact CustomerService@TabletHotels.com for assistance. Double Room Forest Side - Tripl. This room can accommodate up to 4 guest (charges apply). Family Suite Forest Side - Tripl.